At 100 years old, Texas City is a relatively young city. It was founded not for its beauty or its climate but for its strategic location on the Gulf of Mexico. It developed into a major port city, and industries sprang up and flourished. From bare acreage, the founders forged a community that would become a hometown to thousands of people. Texas City has seen its highs and lows. The U.S. Air Force experienced its humble beginnings here, for instance. The same port, however, that gave life to the desolate land brought destruction in 1947 in the form of the Texas City explosion. A ship carrying ammonium nitrate blew up, killing almost 600 residents, injuring thousands, and bringing damage to nearly every building in town. Texas City recovered from the explosion and in the following decades, continued to be a place of pride for its citizens. 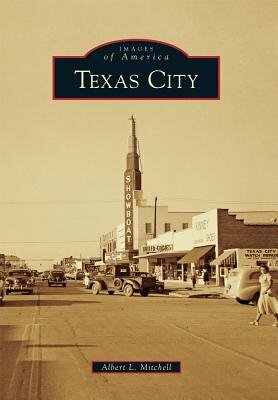 The pages of this book are filled with images dating from the 1950s and 1960s to bring back the feeling of a bygone era in Texas City.